My ideal customer is someone who is willing to look at what’s going on in their life or business, and realise that they created it; both the successful things and the unsuccessful things. They’re looking to change their own behaviour, attitude, beliefs, emotional field, or decision making because they understand that they create their own reality and they’re looking to change the reality they’ve been creating. They want real, permanent change and tools they can learn to implement on their own. Most importantly, they are not looking for a quick fix. Since 2007 I’ve helped the owners of small and medium-sized businesses, as well as executives in large businesses (people just like you) with those sorts of things. For the most part, I share thinking strategies and tools to help you work through what life and business throw at you. The Leadership and Communication Skills Accelerator (current) – a series of live events (workshops). By participating, you will improve your ability to communicate in every area of life. It’s experiential (meaning you do it and practice at the event, rather than me talking to you about it). A community of participants create great business relationships and support each other to implement the distinctions had over the course. One on One Foundations of Self Leadership Coaching Program (current) – This is much more personal and intimate. It’s also custom delivered based on your exact situation and Predictor Profile results. You spend time one on one with me, or one of my coaches to work with you on your personal journey. We’ve helped hundreds of successful people play a bigger game. Advanced Coaching Programs (current) – An extension of the Foundation Coaching programs. I’ll help you inspect the way your thinking about each of the nine divisions in your business and create and implement a strategy for the successful achievement of your objectives. I’ll help you set those objectives too if you’d like. Hire Great People Who Stay (upcoming) – Learn how to ensure you only hire top performers who will truly support you and your business to grow. Includes a community of like-minded business owners who can share their experiences of implementation and use of this system including the pitfalls and how to get around them. Lifeskillscoaching.com.au (upcoming) – We’re starting a new business that’s going to cater to a broader market. Advanced Business Abilities is specific to business owners, and now we’re going to offer services to all individuals who are looking to improve themselves and their skills. Sales Skills Accelerator (upcoming) – This workshop will be tailored towards supporting people in sales, business development, and business ownership roles to improve their skills in the field of sales. You will leave this course with knowledge of fundamental principles of sales that apply no matter what product or service you’re selling. These principles will benefit the experienced sales professional just as much, if not more, than the rookie. How do I deliver these? 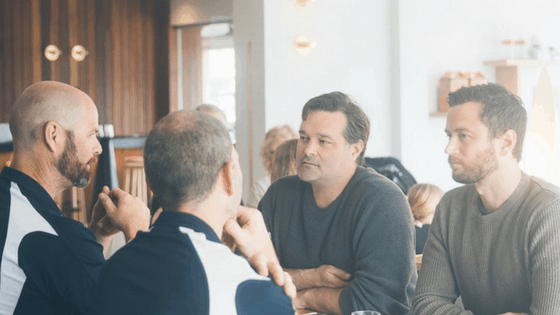 Private Membership Groups – ongoing access to me and others like you that are looking to grow their business and implement successful actions and to connect. Speeches – Topic Specific big picture vision work. You tell me what you’d like help with and I’ll deliver. Online courses – Designed to add value to my coaching programs, or as stand-alone products to help you run your business. These all come with private membership groups and access to my resources via a secure login to the backend of my website. Live Group Workshops – These are all experiential. I talk a little. You do a lot. You learn and get distinctions from your experience. You implement in your life and share with the private membership groups about your experience. Retreats – We are planning some very personal deep dive retreats where you get multiple days access to me and my team. For speeches, please head over to my speaking page and fill out the form. I’ll come back to you. For coaching and consulting, book a coffee with me (either face to face or online) so we can talk. I’d like to understand what you’d like help with. For everything else, keep checking our website, we update the dates and times of our events regularly.